Straight through processing for alternative investments. End-to-end technology solutions for sponsors and advisors, developed by regulatory compliance experts. Reduce errors and shorten cycle time with the AltigoTM platform. 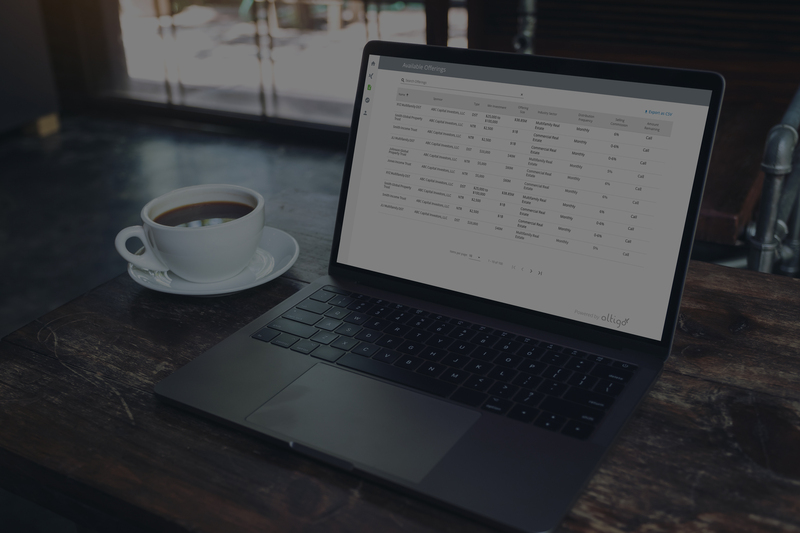 Convenient dashboards display available offerings in one place, making it easier for advisors to access, review, and invest on behalf of clients. 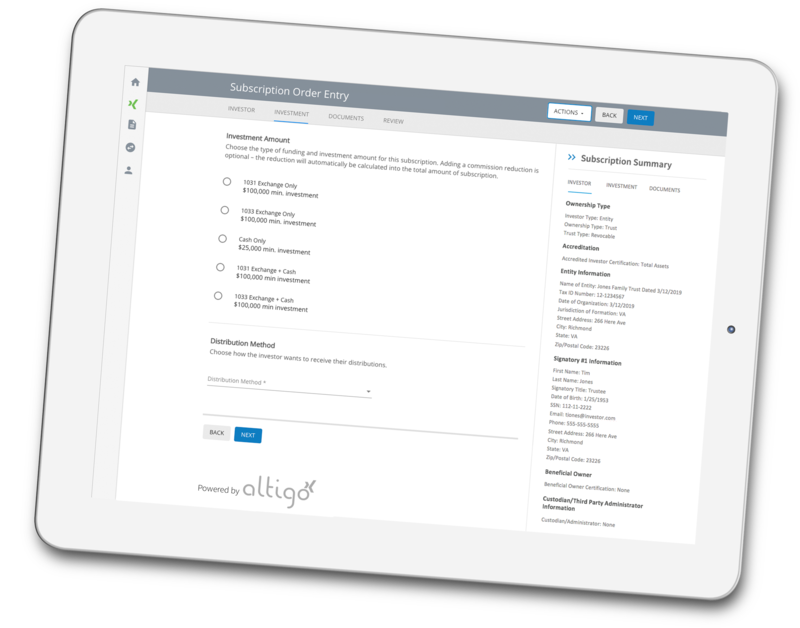 Sponsors and advisors can view and upload documents, make changes, and track the status of subscriptions throughout the entire process. While manual subscriptions may take weeks to complete, a paperless process can be completed in minutes, saving time and reducing costs. * An Intellicap report estimates that subscription automation and e-signature customers from a range of industries experience an 81.6% reduction in NIGO errors on average, with one financial services case study resulting in an 85% reduction. Modernize the alternative investing experience with Altigo. » Subscriptions can be completed in as little as 5 minutes. » Track investment status through a transaction activity dashboard. » End-to-end technology connects stakeholders in a streamlined process. *Testimonials reflect these clients' historical experiences with WealthForge's technology and regulatory compliance services and may not be representative of the experiences of all clients or with other services. Testimonials are not a guarantee of future performance or success. Answer a few questions to help us determine which solution could provide the most value for you. A member of our sales team will be in touch soon.